As every motorist knows, driving under the influence of alcohol or drugs can be extremely dangerous and lead to fatal accidents. Tennessee roads see nearly 9,500 accidents each year due to alcohol-related circumstances, according to the Tennessee Department of Safety. Almost 500 alcohol-related crashes occurred here in Knox County in 2010. When a driver responsible for a multi-ton commercial vehicle imbibes in alcohol or uses drugs, the impact can be tremendous. The sheer size and weight of most large trucks makes one false move a potential catastrophe, and truck DUI accidents tend to cause severe injuries. In all 50 states and the District of Columbia, it is illegal for anyone to operate a motor vehicle while under the influence of an intoxicating substance. Unfortunately, the pressure to meet deadlines that comes from most trucking companies leads to many truckers indulging in stimulants and other drugs. DUI stands for driving under the influence. If a law enforcement official suspects that a truck driver has taken drugs, a DUI may be issued; if the driver is intoxicated, a DUI is also issued. DWI is a term that used to distinguish Driving While Intoxicated from the influence of drugs, however, both offenses have been consolidated into a single DUI classification. If you have been involved in an accident with a large truck and you believe the truck driver may have been under the influence of drugs or alcohol, you may be eligible to pursue compensation for the damages you sustained in the truck DUI accident. The trucking accident attorneys at Greg Coleman Law may be able to help you recover damages for lost wages, pain and suffering and more. Learn about your rights and legal options. Fill out the Free Case Review form to your right to get started. According to the Federal Motor Carrier Safety Administration (FMCSA), 1.8% of the 3,446 truck drivers involved in a fatal crash in 2010 had a Blood Alcohol Concentration (BAC) of more than 0.08; 3% had consumed some amount of alcohol. Although these numbers pale in comparison to the more than 20% of motorists involved in fatal accidents while driving a light truck, motorcycle or passenger car, the devastation a single truck DUI accident can cause is tragic. Under FMCSA regulations, drivers are prohibited from consuming or being under the influence of alcohol not only when getting behind the wheel, but for 4 hours prior to operating the truck. There is no tolerance for ANY level of BAC for a trucker who is operating a commercial vehicle, whether on duty or not. In fact, a commercial driver may not possess an alcoholic beverage unless it is being transported as part of a shipment or belongs to a bus passenger. All commercial drivers must submit to regular alcohol and drug testing. Despite industry-wide testing for both drugs and alcohol, truck DUIs still happen. The National Transportation Safety Board (NTSB) has conducted studies concerning drug usage in truckers, finding that drug abuse has been a major contributor to both non-fatal and fatal truck accidents across the country. Drugs are more common in the trucking industry due to long, isolated hours behind the wheel. Methamphetamines and other stimulants tend to be popular among truck drivers as they combat trucker fatigue, so the driver can log more miles and deliver cargo early. Also, some of these substances are not easily detected by drug tests. The shipping industry is wrought by drug abuse. If you have been involved in a truck DUI crash and you are seeking legal guidance, an experienced truck accident law firm may be able to help. Injuries from an automotive accident can be devastating in any circumstance, but when you have been the victim of a massive commercial truck driven by a driver who has recklessly consumed alcohol or drugs, emotional distress can be overwhelming. If you have been involved in a truck DUI accident and suffered injury, or lost a loved one due to a drunk or high trucker, you may be eligible to pursue legal recourse through a personal injury or wrongful death case. The experienced attorneys at Greg Coleman Law understand the hardships you may be facing, and our goal is to help our clients return to daily life with the compensation they require to restore their quality of life. 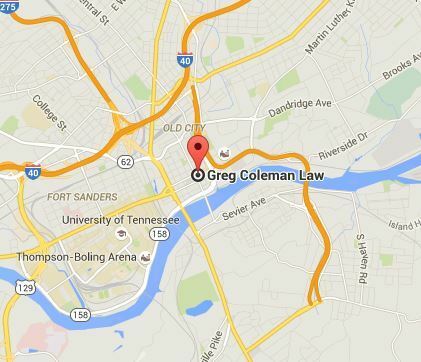 Call (865) 247-0080 now to discuss your legal rights and options with one of the professionals on our legal staff. Fill out our Free Case Review form at the top of this page for a confidential expedited evaluation from one of our attorneys. No Cost To You. Contact Us Today. Why Does the Insurance Company Want a Recorded Statement? What are the Most Dangerous Distracted Driving Habits? Do I Have a Product Liability Case? $2.5 Million - Verdict Rendered Against Keeble, Pinto and Star Transportation, Inc.
Class action settlement reached in case involving defective products from Jewelry Television (JTV). The information on this website is for general information purposes only. Nothing on this site should be taken as legal advice for any individual case or situation. This information is not intended to create, and receipt or viewing does not constitute, an attorney-client relationship. No representation is made that the quality of the legal services to be performed is greater than the quality of legal services performed by other lawyers.